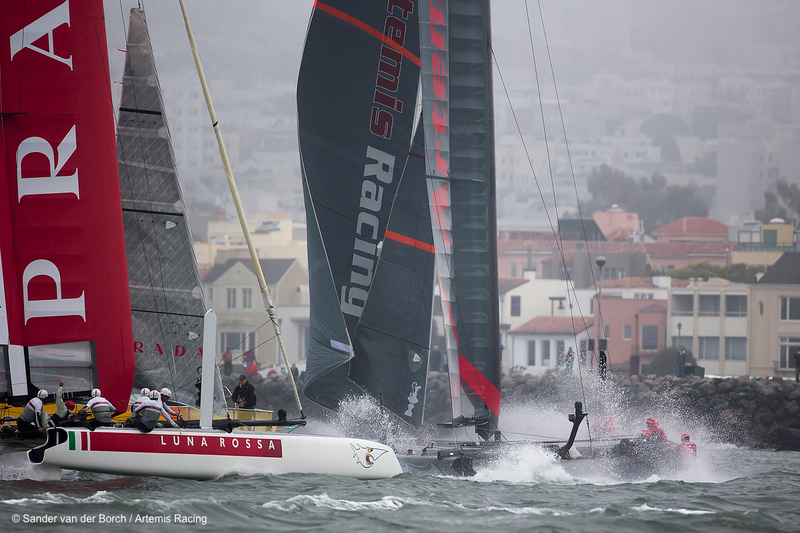 The America's Cup World Series - San Francisco kicked off today with the Match Racing Qualifiers with intense, foggy conditions on the Bay. Artemis Racing - Red helmed by newcomer to the team Nathan Outteridge (AUS) lined up against Dean Barker (NZL) and Emirates Team New Zealand in the third match of the day. Barker executed a smooth start and took the race off the Swedish team, winning by 51 seconds. 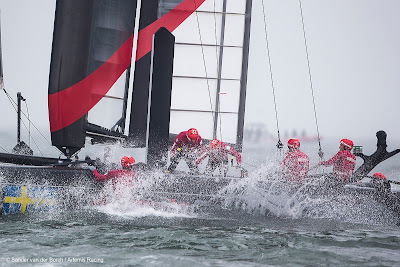 Outteridge was back in fighting form in the team's next race against Luna Rossa - Piranha with Iker Martinez at the helm. Having won the start, Artemis Racing - Red sailed a solid race to win by an impressive lead and move onto race against China Team. Outteridge and the team on Artemis Racing - Red sailed a clean race to win over the Chinese who unfortunately retired due to damage to their wing caused by a runner. 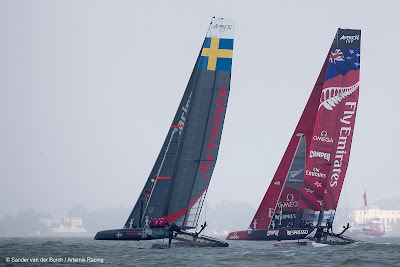 Artemis Racing - Red will now race against Oracle Team USA - Coutts in the quarter finals on Thursday, while Artemis Racing - White skippered by Terry Hutchinson (USA) will line up against Team Korea tomorrow. "It was nice today. The first race we were pretty close with Dean (Barker/ETNZ) down the first run. We lost, but that gave us the chance to have a bit more practice. Then we had a good race against Luna Rossa - Piranha where we led from start to finish. We executed what we were trying to do and are happy that we made it through to the quarter finals," said Outteridge. 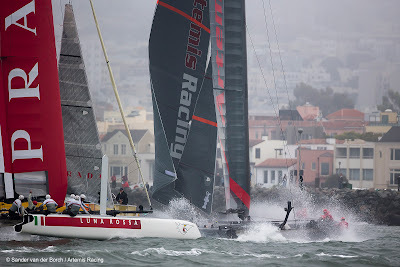 Leading up to this event, Artemis Racing has been two boat training on the Bay in a range of conditions. Earlier this week Alain Thébault, Skipper of Hydroptère, had the opportunity to sail onboard Artemis Racing - Red as 6th man. Artemis Racing has recently entered into an agreement with Alain Thébault which will see Hydroptère's lead engineer contribute his foiling trimaran expertise to Artemis Racing.